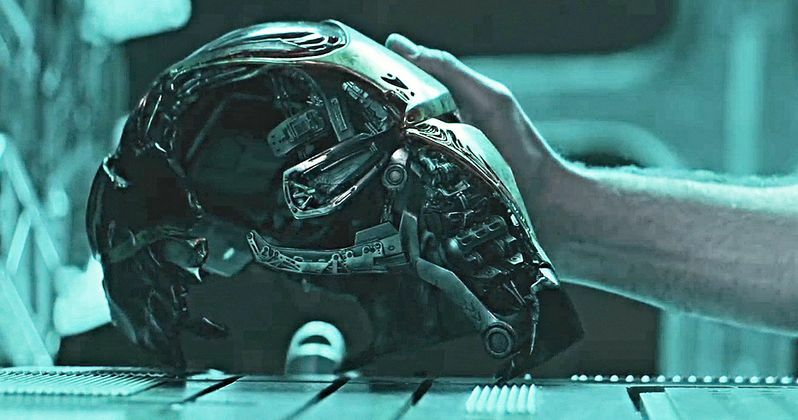 Marvel has finally revealed the title and trailer for Avengers 4, which we now know to be titled Avengers: Endgame. Fans have been extremely excited, given all of the anticipation heading into the reveal. But, technically speaking, the title was revealed months ago. As it just so happens, directors Joe Russo and Anthony Russo actually revealed the title back in September. Fans just had to look hard and, certain fans did look hard enough to figure it out. On September 19, the Russo brothers shared a behind the scenes photo to their Twitter account which, on the surface, didn't seem to reveal much. Just some random stuff scattered about a movie set. But the photo's caption read "look hard." That's exactly what several fans did and, as was highlighted, that random stuff scattered about the set, when looked at in just the right way, actually spells out "Endgame." Granted, it's pretty difficult to make out unless pointed out by someone who did their homework, but the title is there hidden in the image. Not only did the movie's directors reveal the title in September, albeit hidden deep within an otherwise innocuous image, but this was one of the most highly-suspected titles for Avengers 4 prior to the reveal. Not only does it seem fitting, given the events of Infinity War, but Doctor Strange actually said to Tony Stark on Titan after losing their battle with Thanos, which resulted in Strange surrendering the Time Stone, that "we are in the endgame now." Certain Marvel fans began to suspect that Avengers: Endgame would be the official title and that turned out to be correct. Perhaps it's not the most revealing title, in itself, but that could end up being one of the most exciting things about this movie. We've been hearing that Marvel is going to unveil a bold and different type of marketing strategy for the Infinity War follow-up. None of the dusted heroes showed up in the trailer and, aside from finding out that Ant-Man somehow escaped the Quantum Realm, they didn't really show their hand all that much. Sure, the trailer came with a few reveals, but for the most part, we're really left to wonder what's coming our way next year. And that's pretty exciting when thinking about the fact that this could easily be one of the biggest sequels ever made, if not the biggest when it hits theaters next year. But this is what Marvel Studios has earned the right to do. They've earned the trust and loyalty of moviegoers all around the world who, regardless of what is contained in the trailers leading up to its release, are going to see what our remaining heroes do to get even with Thanos and avenge the universe. Avengers: Endgame is set to arrive in theaters on April 26, 2019. Be sure to check out a side-by-side image comparison of the title reveal from the GOAT Movie Podcast Twitter below.